Few hours ago I updated to the latest Xamarin.Forms version. Is there any solution to this problem and why it did appear after update? I was seeing this problem. I fixed it by right clicking the xaml file and selecting "open with". I just selected Automatic Editor Selector (XML) and that worked for me. Good luck! I'm going to try this solution soon. I resolved the issue with downgrading to the previous version of Xamarin and everything is OK for now. 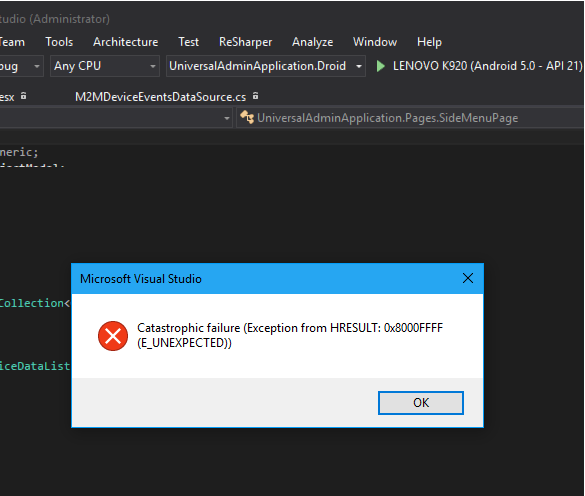 I resolved this problem like I create a new Xaml item in current file. Then Xamarin allows me to access other xaml pages in my solution.